"Contractors work in some of the most confined spaces, and to get their jobs done successfully they can't sacrifice power or safety," said Martin Krupicka, president and CEO of Brokk Group. "That's why maintaining the same footprint as the former model and boosting the machine's power was a must. This new machine truly tests the limits of compact power." 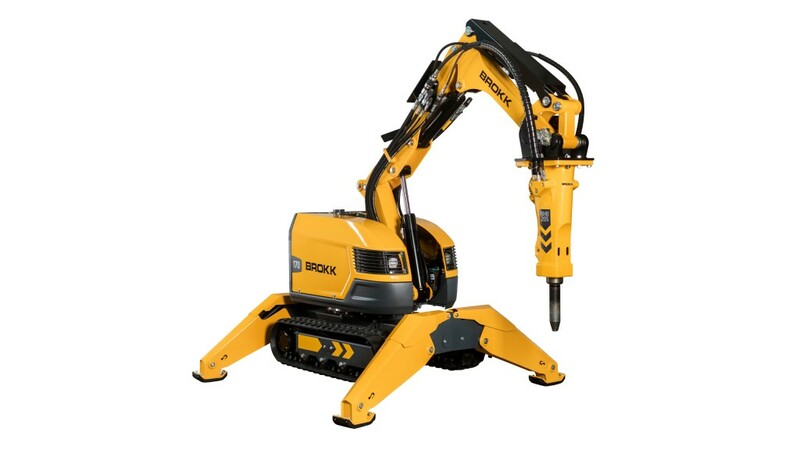 The Brokk 170 incorporates the revolutionary new SmartConcept system, which ensures improved performance and uptime. SmartConcept consists of three features: SmartPower, SmartDesign and SmartRemote. SmartPower senses when the power supply is poor or faulty then compensates before damage to components occurs. This allows contractors to use the machine with generators or unreliable power sources. SmartDesign extends machine life and provides unprecedented ease of maintenance due to 70 percent fewer cables, hardened components, LED headlights and easily accessible grease points and hydraulic hoses. An ergonomic remote-control, the SmartRemote, incorporates adjustable straps, intuitive controls and professional-grade radio technology with a 984-foot (300-meter) working range.